Longtime readers may be surprised to learn, as was I, which SoundStage! 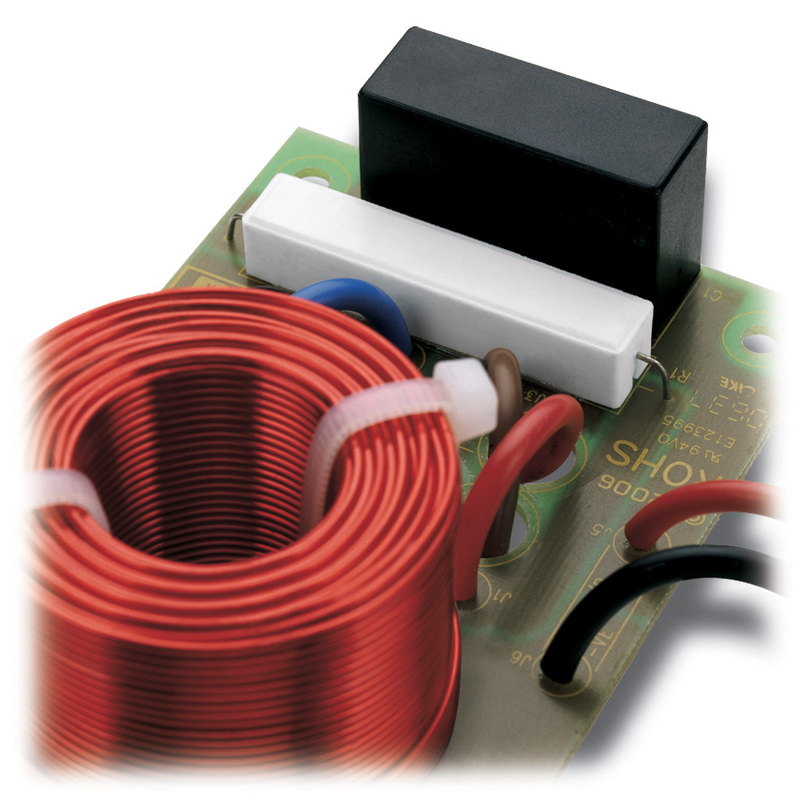 loudspeaker review has been most often read and re-read in the history of the Network. It wasnt a review of a PSB or Paradigm speaker, or even a model from Wilson Audio Specialties. 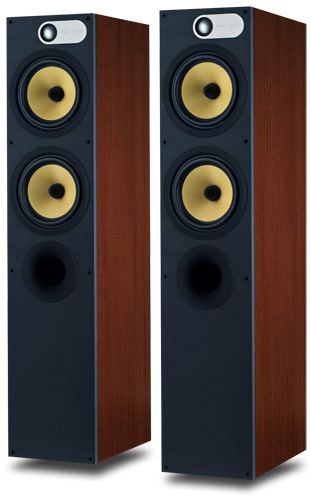 The speaker reviewed wasnt super- or even moderately expensive -- in fact, Bowers and Wilkins CM1 cost under $1000/pair. It wasnt the fact that it was a B&W that surprised me. B&W has been designing speakers since the mid-1960s, its goal "to get as close as possible to transparent reproduction of recorded sound." What did surprise me was that the most-read SoundStage! review was of a $900 pair of bookshelf speakers. Perhaps I sound like a snob in saying so, but that review flew right under my radar. Evidently, more people are interested in buying affordable audio equipment than are interested in simply reading about it. The 684 ($550 USD each) is one of two floorstanding speakers in B&Ws 600 line designed to be used in hi-fi and home-theater systems. Its fairly short for a floorstander: 35.8"H x 7.8"W x 11.8"D. However, when I lifted one, I could feel how substantial it is -- at 40.1 pounds, the 684 is built like a tank. Some of the weight can be attributed to the plinth on which the speaker sits. This block, 10.125"W by 14.5"D, raises the 684 a little over 1.5", once the spikes or rubber feet are installed. The spikes are for carpets; the rubber-ball feet are for hardwood floors, such as mine -- I found them a nice addition. Sitting on its plinth, the speaker was rock-steady. The 684 has a 1" aluminum-dome tweeter, a 6.5" midrange/woofer, and a 6.5" woofer. The latter two drive-units are made of woven Kevlar, B&Ws cone material of choice since 1974 because it "exhibits a peculiar style of break-up behavior, not found in more conventional materials, that maintains a more constant dispersion pattern at all frequencies in its range and transmits far fewer delayed, time-smearing sounds to the listener." The 684s crossover is a 2.5-way design. First-order filters are used for the handoff of tweeter to midrange (at 4kHz). There is a low pass on the bass driver (at 150Hz). This allows the 684s midrange driver to combine with the woofer to produce the low bass; the 684 is thus capable of being played louder and with less distortion in the bass than a comparable two-driver loudspeaker. There are two ports, one each on the speakers front and back, the surfaces of the apertures dimpled like golf balls. B&W calls this design Flowport; they feel the dimples reduce airflow turbulence and therefore reduce chuffing and compression at loud volumes. Also included are two foam plugs that can be used to stop up the ports. For example, if a speaker has to be placed far back in a corner, you may want to plug its rear port to cut down on bass bloat. The front port can be used to fine-tune the bass a bit more. I found the sound to be a little cleaner and tighter with both 684s front ports plugged. Each B&W 684 has two pairs of binding posts, in case you want to biamp them. If your speaker cables are terminated in spades, make sure the spades are wide enough (I had a bit of trouble). The 684 comes in four vinyl veneers: Black Ash, Red Cherry, Weng� (my review samples), and Light Oak (not available in the US or Canada). I single-wired the 684s to my Class� CA-2200 power amplifier, driven by a Simaudio Moon P5.3 preamplifier and a Bel Canto e.One DAC3 D/A converter. The digital source was an Apple MacBook Pro running iTunes and the Amarra audio engine. All cables were Analysis Plus. To start things off, I listened to Alison Krauss and Robert Plants Raising Sand (CD, Decca 475 938-2). Before this albums release, Id seen a televised concert of its songs, and knew even then that it would be a must-buy. This is an odd pairing of singers, to say the least, and dialing down Plants performance must have been the biggest challenge facing producer T-Bone Burnett, who described his coaching of the former Led Zeppelin singer as telling him to "sing softer." The album went on to win a Grammy for Album of the Year for 2007. The track I most enjoy is "Please Read the Letter." Playing it through the B&W 684s, I was impressed with the small speakers ability to create a wide soundstage on which were tightly focused images of all the instruments. Whether it was the timpani that drives the rhythm of the song or the guitar that follows it, each instruments physical outline was surrounded by ample space and air. While the drum kit was very transparent, the two little 6.5" bass drivers didnt deliver each stroke with quite as visceral a reproduction as Ive heard through larger speakers. However, without that last bit of low-end power that larger speakers can be capable of, I was able to concentrate a bit more on the recordings subtler points. All in all, the 684s performance was well balanced and neutral across the majority of the audioband. To further test the 684s bottom end, I put on another favorite recording: "Shining Star," from Brian Brombergs Woods II (CD, Artistry 757008). This song boasts three dueling acoustic bass guitars: one each in the left, right, and center of the soundstage. Each bassist takes the lead in turn while the other two thump a few notes in support. I was very pleased with how quick and transparent each pluck sounded through the B&Ws. Again, the lowest points of each note were subdued, but for the most part, the 684s nailed the reproduction. For example, while the left and right basses were thumping their background notes, the central one was frantically plucking away at the lead. With some larger speakers Ive auditioned in my room, Ive sometimes felt that this performance can be overshadowed by too much low-end weight. Even slight room overload can mask other frequencies. The 684s played down to the mid-40Hz range in my room -- low enough to accurately reproduce the sound of the bass guitars lowest note. Each guitar occupied a distinct space within the soundstage and never relinquished it. The notes were full-bodied, with accurate shape and dimensionality. The B&W 684 really shone in the midrange. Listening to Nick Caves "Into My Arms," from The Boatmans Call (CD, Reprise 46530), I was able to hear how sweet that Kevlar mid/woofer really is. Caves strong voice, still quite delicate in this performance, is mixed very forward and in-your-face, but despite the energy with which it filled the room, minute details were easily discernible. Being able to listen deeper into a recording in this way is what high-end audio is all about. A friend and I recently spoke about how, while you dont need a high-end stereo to enjoy music, a highly resolving stereo system can let you more easily appreciate a great performance in a much more intimate and engaging way. I felt this way about listening to this Nick Cave song through the 684s, and to many of the live recordings in my collection. The sound of the piano was completely vibrant, and while the weight of the instruments lower notes were fully fleshed out, Caves voice didnt overload the speaker, as I had feared it might. When I wanted to test the B&Ws ability to handle the upper registers of a womans voice, Norah Jones came to mind. I popped in her first album, Come Away With Me (CD, Parlophone 5396092). The hit "Dont Know Why" is the first track, and I was immediately introduced to Joness sultry voice. Her vocal range is pretty amazing, and this recording bears witness to that. In the very first phrase she sings, the dynamic range of Joness voice energized the room. While this can get dangerously close to wearing down the ears, I found her voice to be well controlled and quite clear through the 684s -- no high-frequency smear here. Like the other instruments, Joness voice occupied a distinct space, and was allowed to grow within that space as needed. Each note of the bass guitar was articulately rendered -- no "one-note bass." Each note had its individual pitch and was reproduced in very linear fashion. However, there were times when the 684s high-frequency reproduction seemed a bit hot, as on Sunny Sumters cover of Duke Ellington and Billy Strayhorns "Day Dream," on Sunny (CD, Mapleshade 5932). As I listened to this track, there were moments when Sumters voice exposed the limits of the 684s 1" aluminum tweeter -- even at moderate listening levels, the highs were a little overbearing. B&Ws have the reputation for being ruthlessly revealing in the highs, and with this recording the 684s revealed that characteristic. The B&W 684 is a very good little loudspeaker that bears comparison with even more costly models, a great example of which is the Thiel CS1.6 -- at $1195 it costs a little over twice as much as the 684, but is similar to it in many ways. First, both speakers are approximately the same size, with the B&W 684 having a heftier feel. Both use first-order crossovers, and both companies pride themselves on the proper dispersion characteristics of their speakers. Both the 684 and the CS1.6 have metal-dome tweeters, and can be a bit bright with some recordings, with the CS1.6s top end being a little more extended and resolving. Both speakers were very detailed and neutral in the midrange and played equally low in the bass, the B&Ws perhaps having slightly more authority in my room. Both produced very wide, detailed soundstages, but the Thiel was capable of providing sharper, more focused images. Both designs shone in terms of overall fidelity to the source material. In short, the B&W 684 compared well to the Thiel CS1.6 -- which makes it quite a deal at less than half the price. The B&W 684 was a treat to have in my system. It was nice to have a well-designed, very affordable speaker on hand to deflate my speaker snobbery. The speakers performance as a whole surprised me, and the detailed smoothness of its midrange wowed me. I enjoyed listening to my music through the 684s, and appreciated their honest reproduction of each track. While the 684 will need the aid of a subwoofer to be truly full-range, its mid-40Hz output was good enough for most recordings out there. It was easy to drive, as hinted at by its 90dB sensitivity, so pairing it with a good receiver or multichannel amplifier should be easy. I now understand why the SoundStage! review of B&Ws CM1 was so widely read. With performance like this, particularly at an accessible price point for many consumers, B&W definitely has another winner on their hands with the 684. Price: $1100 USD per pair.